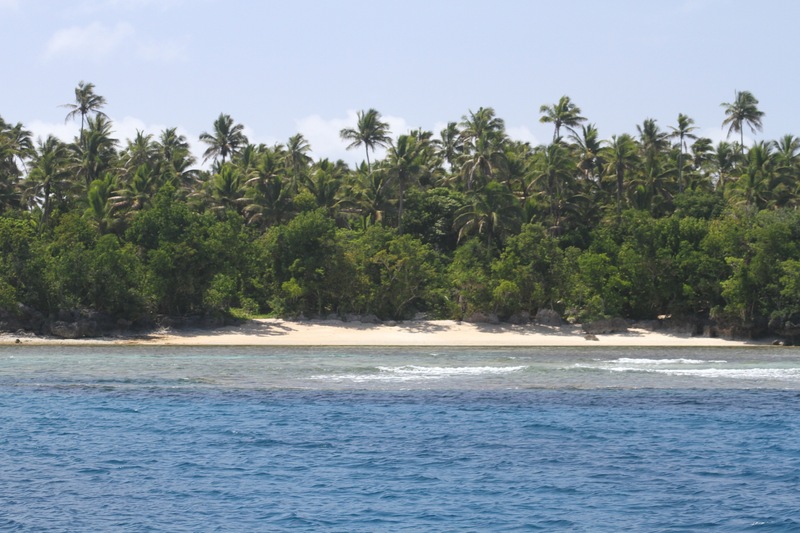 As you probably know by now, we like getting off the grid, exploring those more remote parts of the world, and the Ha’apai group of islands just south of Vava’u (still part of Tonga) are beckoning to us, holding the promise of beautiful uninhabited islands with sandy beaches and plentiful reefs for snorkelling and diving. A bit like the Tuamotus, historically they’ve been avoided by cruising sailors because of the navigational hazards, but with the advent of GPS and more accurate charting, they’re becoming an increasingly popular destination for cruisers enroute to New Zealand. But first we have to drag ourselves away from Neiafu. It would be an easy place to stay, and many do, enjoying the cruiser’s cafes and bars and the daily information nets. A new boatyard with haul-out facilities has just opened, and several of our cruising companions have decided to leave their boats here for the cyclone season. But it’s not for us, so our last days in Neiafu are spent doing the now-familiar run-around of last minute preparations for departure – laundry, LPG fills, fuel fills, provisioning. The latter proved to be quite a challenge, going from store to store – finding a frozen chicken here, some sausages there, pasta and bread in yet another. Desperate for some recognisable meat rather than the huge lumps of unidentifiable frozen animals in the local supermarkets, we even asked Mike from the Aquarium café to include an order of a whole entrecote roll for us from his supplier in Nuku’alofi, which duly arrived by plane on the day before our departure. 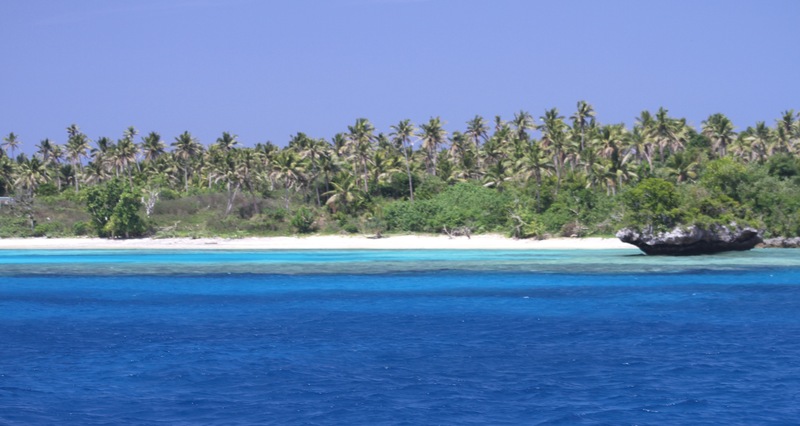 We’re almost ready, and with no more rugby matches to watch (those dratted All Blacks are just too good) it’s time to focus our attention 65NM south to the Ha’apai Islands. We also feel like we’re going off the grid in another, not so positive way. It’s been a year now almost to the day that we set off from Hampton, Virginia full of excitement, apprehension and dreams of adventures to come. What a year it’s been with so many wonderful experiences, challenges, and achievements. But the marine environment is a harsh and unforgiving one, and our supply of electronic gadgets and communication devices is dwindling fast. Early on it was my iphone that got dropped into a sinkful of water by He Who Shall Remain Nameless, then the same Nameless One had an unscheduled swim in Bonaire getting from the dinghy to the boat – another iphone bit the dust. Shortly after, the screen on the Intova (look-alike go-pro) failed. We bought a replacement which worked fine until Niue when one of the waterproof seals failed on a dive. My trusty Canon G11 camera which I’ve used daily for our photographic records and for underwater stills, finally succumbed to the salt air and is sitting frozen on a shelf. The charging leads for the ipad/iphone have corroded. We’re down to our last one, which we hope and pray lasts until we get to New Zealand otherwise we have no way of charging the ipad, which we use as the chartplotter in the cockpit. Our older, back-up Ipad refuses to charge unless you spend hours cajoling it. My Ipod died a long long time ago. My replacement iphone (complete with waterproof case!) was kindly delivered by our visitors in the Caribbean and has been working like a charm. Until our last night in Neiafu when Yours Truly had her own unscheduled swim at the dinghy dock, after the dock lurched suddenly when I was bent over untying the dinghy painter. Phone in hand, I plunged into the water, losing my glasses and thongs in the process (both later recovered thanks to the help of Bruce, and a fellow cruiser “CB” who volunteered to dive for my glasses – thank you my knights in shining armour!). The phone was in its’ waterproof case so I wasn’t too concerned and it worked fine later that night and the next morning. It was only when I went to charge it that it fritzed itself. No more iphone. At this rate it will be a miracle if we get to New Zealand with any technology working at all – bits just keep dropping off as we go! Undeterred, and lighter in the technology department, we left Neiafu in the dark before dawn, threading our way out through the islands to the open ocean. We had a good day sail (finally!) only needing to start the iron sail in the last hour to ensure we got in to the anchorage at Ha’ano before the light failed. It’s a good first stop and we’re looking forward to discovering the above and below water terrain. Happy to be in Ha’apai! palm trees, deserted beaches, just our sort of place…. Hi guys, think you will be pleased to get to NZ if only to replace all the gadgets!! Sounds as if you are still having great fun!!! I will email more fully once you have reached NZ – that’s is if your laptop is still functioning! All well here if a little wet! Having a very wet and windy Autumn, but it is also very mild. Just fed up with the wet! Fiona is keeping well – about 8 weeks to go now! Very exciting! Look after yourselves – think about you all the time. Hi guys, when do you plan to reach New Zealand? We will be over on First Picasso at the end of November till early December. Hi Virginia, we’re planning on being in NZ by first week of Dec – have a berth booked in Whangarei marina. Then flying to Australia for Xmas/New Year period. Thanks Rosemary! yes, nothing like a dive or snorkel for de-stressing! It sounds great! Enjoy. Do you have an email address?